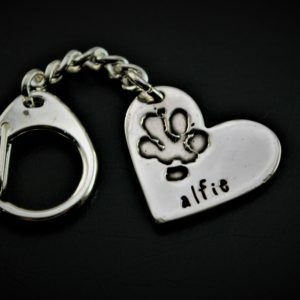 The perfect personalised gift for any pet lover, these engraved keyrings are the perfect Birthday, Christmas or Special present. 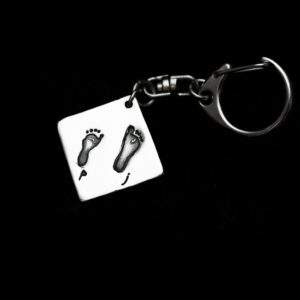 Each keyring is engraved with your pet’s true paw print, which is carefully miniaturised by our design team. 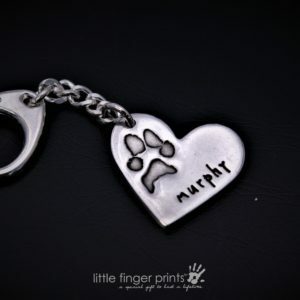 Make someone’s day with a beautifully simple Paw Print Keyring. Your finished keepsake will arrive beautifully gift wrapped and ready to give. Create Paw Print Keyrings now!